My dad is a vain man: well-dressed, pants perfectly pressed and always clean shaven. He’d wake up at 5 every morning to get ready for work. He’d iron his own pants, the crease was as sharp as a razor blade. And he’d shave his face until it was smooth. He applied so much aftershave and cologne that when I woke up for school hours later – the scent still lingered in the air. That was my first #SmellcomeToManhood. My husband, Joseph, is so not like my dad. Although Joseph is just as vain, he rarely irons and has been known to go months without shaving his beard. Joseph didn’t shave for the two months leading to New York Marathon. He said he needed his long hair and beard to keep him warm while running the 26 miles around New York City. But whether he’s scruffy or shaven, Joseph knows to how “Scent Responsibly” with Old Spice. doesn’t usually wear cologne or aftershaves but he often uses the Old Spice body wash, deodorant and body spray. 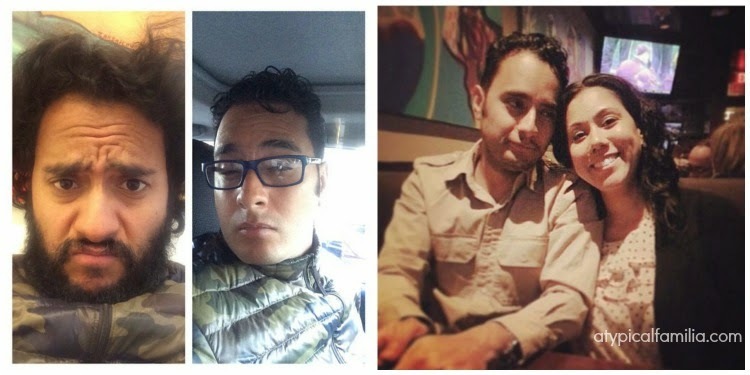 Scruffy or Shaven – that’s his freshly shaved smolder – Either way, I love him. As our little boy Norrin is slowly approaching manhood, we work to teach him about the importance of personal hygiene. Norrin is at the age where he is eager to follow in Dad’s footsteps. While Joseph is excited to pass along his manly wisdom to his son, I want nothing more than to keep Norrin a baby forever. (I am totally like the mom in the ‘Dad Song.’) But all boys grow up. In a few years Norrin will be using deodorant and Joseph will teach him how to shave. And I’ll have one more man in life who can expect Old Spice at Christmas. Old Spice products make for easy stocking stuffers. It’s the gift that will keep giving throughout the year or until they run out. 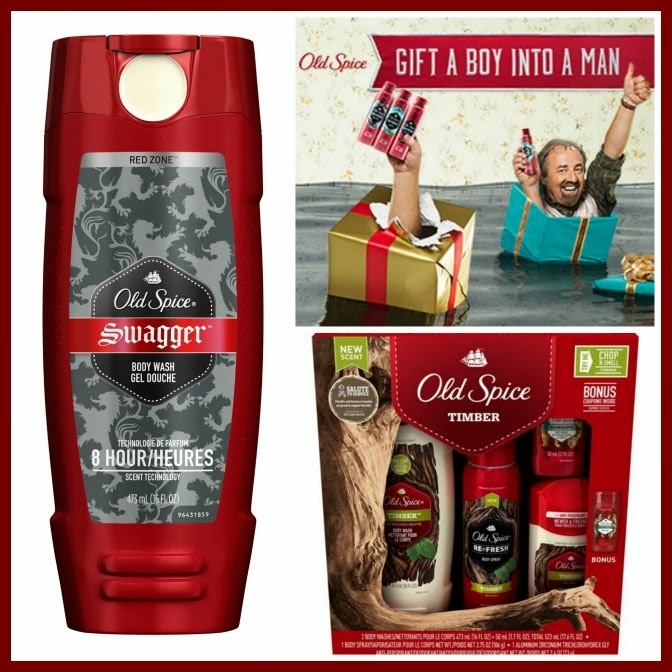 Be sure to stock up and save on your purchase by downloading this coupon – http://bit.ly/OldSpiceCoupon and enter to win our #SmellcomeToManhood Giveaway. Winner will be selected at random via Rafflecopter. Winner must be a resident of the fifty (50) United States and be over 18 years old at time of entry. Enter by following the instructions below. Giveaway ends on December 15, 2014. Not only does Old Spice want to give you the Gift of Manhood, they also have the desire to give back and urge you to do the same. Tis the season after all! The inaugural Old Spice HoliSPRAY Toy Donation Exchange runs from Dec. 3 through Dec. 15. We’re excited to partner with Second Chance Toys and bring attention to a cause that is so important to helping today’s youth. 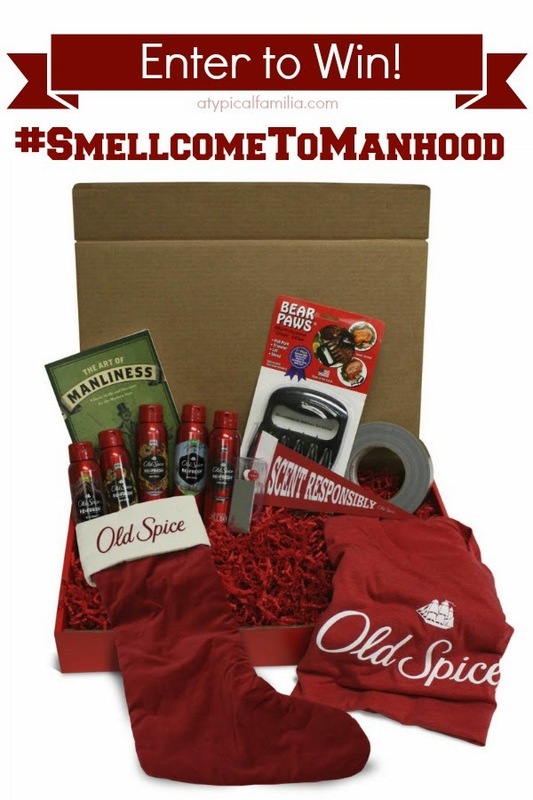 We couldn’t think of a more fitting way to illustrate our message about a boy’s transition to manhood than with a toy drive that rewards a simple act of kindness with the gift of manhood – Old Spice Re-fresh Body Spray. — John Sebastian, Old Spice Brand Director at Procter & Gamble.